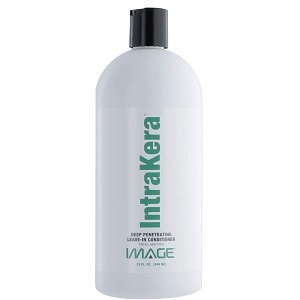 IntraKera Deep Penetrating Leave-In Conditioner restores elasticity to your strands, adds body and bounce to your locks and leaves your tresses with a brilliant healthy shine! Pour a small amount of IntraKera into the palm of your hand – rub hands together to activate. Distribute evenly throughout hair, concentrating on ends. Comb through with wide-toothed comb, then again with fine-toothed comb. Style as desired. This item may be temporarily out of stock, discontinued or packaging may have changed. Below see other similar categories related to this item for your convenience. You may also use our automatic notification system below to track this item and be informed if it should become available again at our store. Track this item and get notified.